I currently have a dual-boot system with Windows 8 and Ubuntu 14.04, on separate hard disks. I have installed the Grub bootloader using the Boot-Repair tool; however, it seems that whenever I boot into Windows my bootloader gets overwritten so that the next time I reboot, Grub doesn't appear - the system just boots straight into Windows. So ... I have to get out my Ubuntu live USB and use Boot-Repair to reinstall Grub each time, which is getting a bit tedious. I have disabled automatic updates in Windows, as I suspected the updates were overwriting the bootloader. However, this now seems to be happening just by me booting into Windows. Has this happened to anyone else and does anyone know how I can prevent Windows from telling me what bootloader to use? Edit 12/14/14: I've just verified that secure-boot is disabled in the BIOS - that doesn't seem to be affecting the problem. I also just ran Boot-Repair, which fixed Grub, and then booted back into Windows. The same problem happens: when I reboot after that it bypasses Grub and boots straight into Windows. Ok, I think I've figured it out. I just followed the instructions on the screen that Boot-Repair prints after it's finished (I tried to post an image but don't have enough reputation). Is secure boot turned on in your BIOS settings? 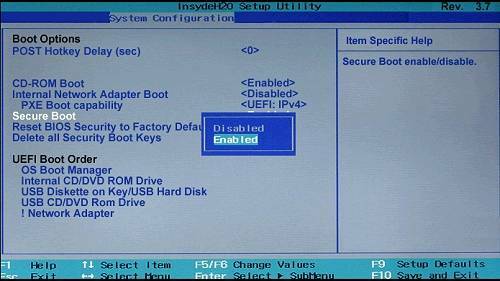 Maybe you have secure boot turned on in your BIOS - it is actually a feature in UEFI based systems that keeps your boot safe from infections, editing etc. Try turn this off in your BIOS settings (On HP laptops it is usually F10 -> System configurations -> boot settings). Not the answer you're looking for? Browse other questions tagged dual-boot grub2 windows windows-8 bootloader or ask your own question.